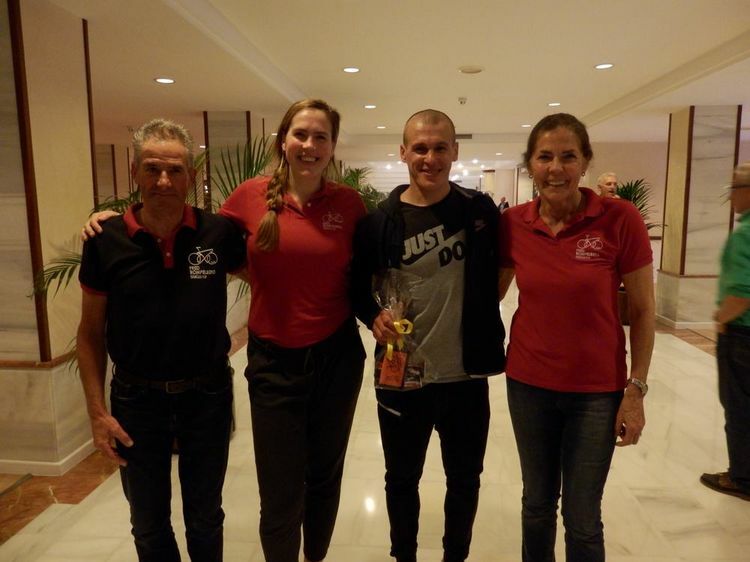 Laatste Nieuws over Fred Rompelberg Bicycling Team Mallorca >> Fred Rompelberg 268 km: 8th trip for free, for our guests who book their cycling holiday 2018 with us. Fred Rompelberg 268 km: 8e reis gratis, voor onze gasten die hun fietsvakantie 2018 bij ons boeken. Er wordt een 8e reis verloot voor 2018. Het succes met de boekingen is enorm, de boekingen gaan alweer beter dan het afgelopen seizoen (2017). Formidabel. We geven dan ook met veel plezier een 8e reis gratis. Zaterdag 10 februari 2018 is er geen nieuwsbrief geweest wegens technische computer-problemen. We vonden het heel jammer! De nieuwe Queen en King zijn bekend van onze week 1 (2 tot 8 februari 2018). Queen: Christina Kastner uit Oostenrijk met 427 km in 5 dagen. 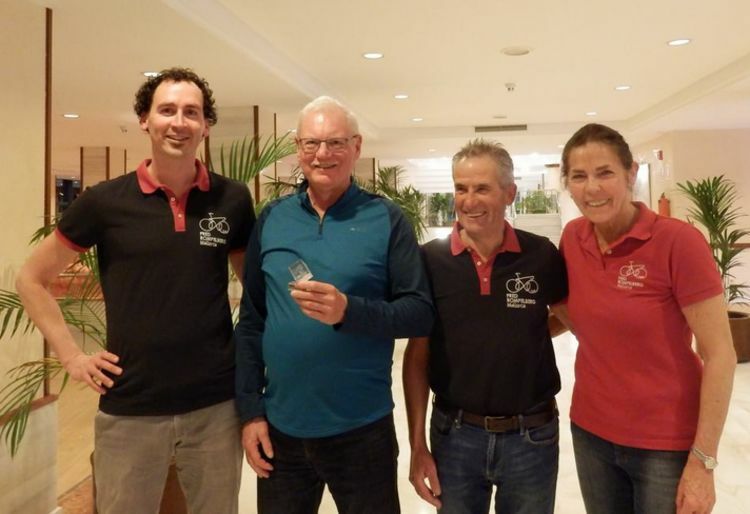 King: Jack Narold uit Nederland met 443 km in 5 dagen. Fred Rompelberg 268 km: 8. Reise gratis, für unsere Gäste, die ihren Radurlaub 2018 bei uns buchen. Da wird eine achte Reise für 2018 verlost. Der Erfolg bei Buchungen ist riesig, die Buchungen sind schon wieder besser wie abgelaufene Saison. Formidable. Wir geben dann auch mit viel Freude einem 8. Reise gratis. Für 2018: 20,4% mehr Buchungen im Moment als im fantastisch gebuchten Jahr 2017. Am Samstag, den 10. Februar 2018 gab es aufgrund technischer Komputerprobleme keinen Newsletter. Es hat uns sehr leid getan! Ein neue Königin und König sind bekannt von unser 2. Woche (2. bis 8. Februar 2018). Königin: Christina Kastner aus Österreich mit 427 km in 5 Tagen. König: Jack Narold aus den Niederlanden mit 443 km in 5 Tagen. 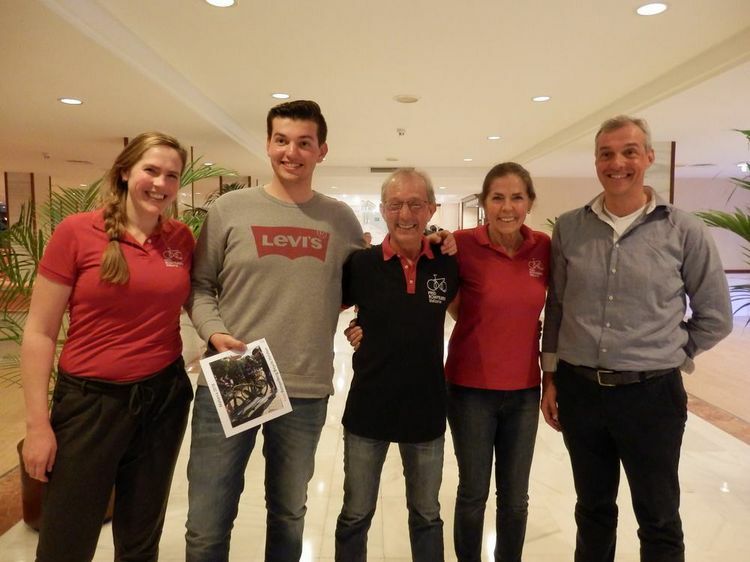 King: Jack Narold from the Netherlands with 443 km in 5 days. 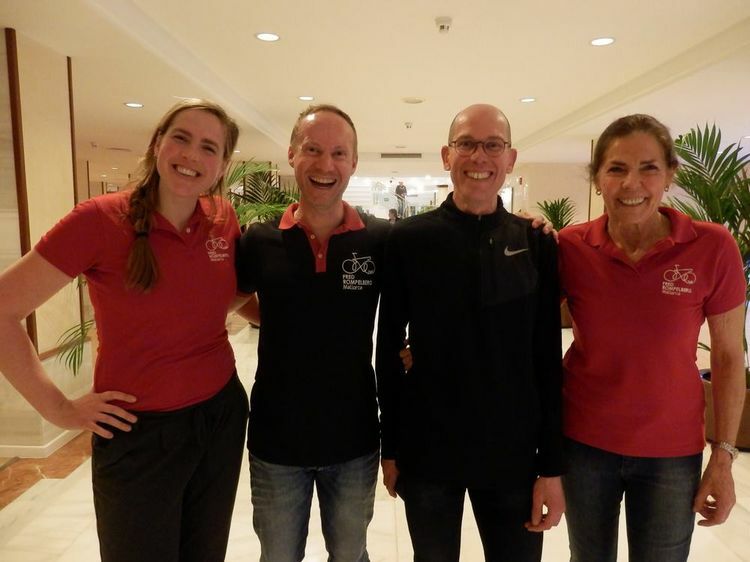 Queen: Helene Rops from Ulvenhout, the Netherlands, with 341.20 km in 5 days. 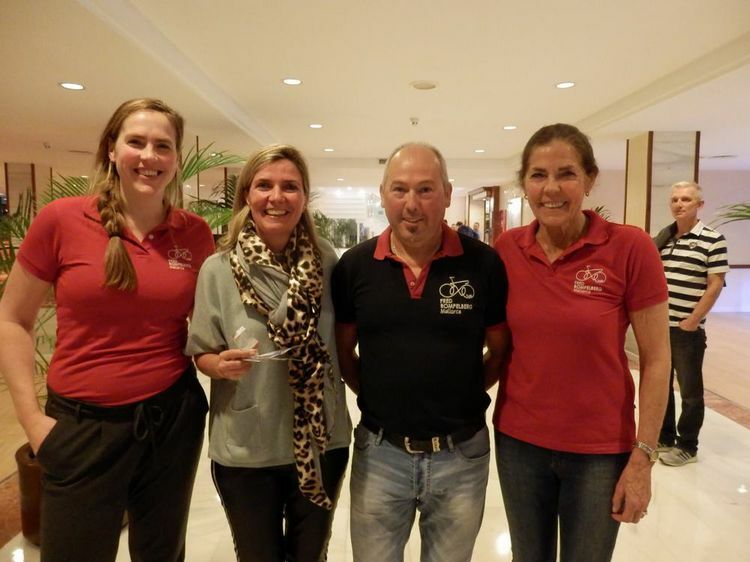 King: Roy Sparenburg from Hendrik Ido Ambacht, the Netherlands, with 662.30 km in 5 days. Story of this week was: Kaspar Stupelis. Kaspar Stupelis from Latvia, the Netherlands, is 3x world champion sidecar. He cycles to stay in good condition. Karel Burgmans from the Netherlands. 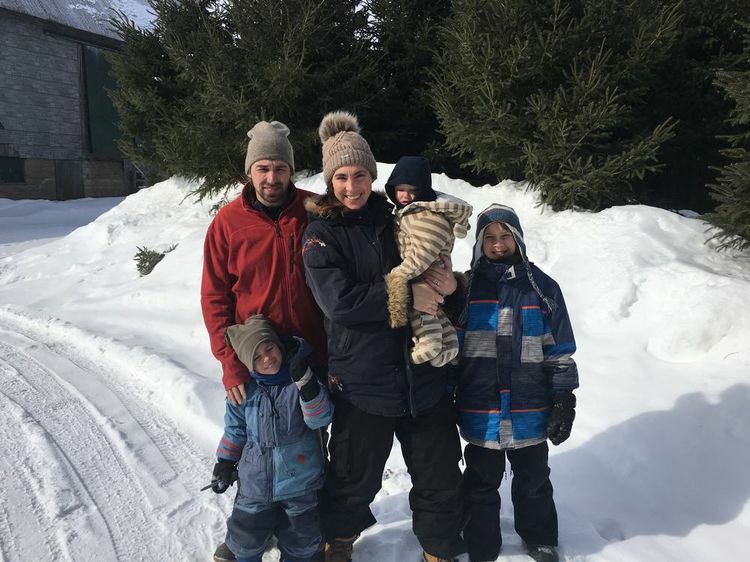 Tiziana Rompelberg with her family in Canada where it is currently -20 degrees with Jael, Matis, Manny and Dany Fortin. Shayne Rompelberg with his beautiful motorcycle. Shayne already knows that he will become a very good professional cyclist. Shayne a lot of health and success. 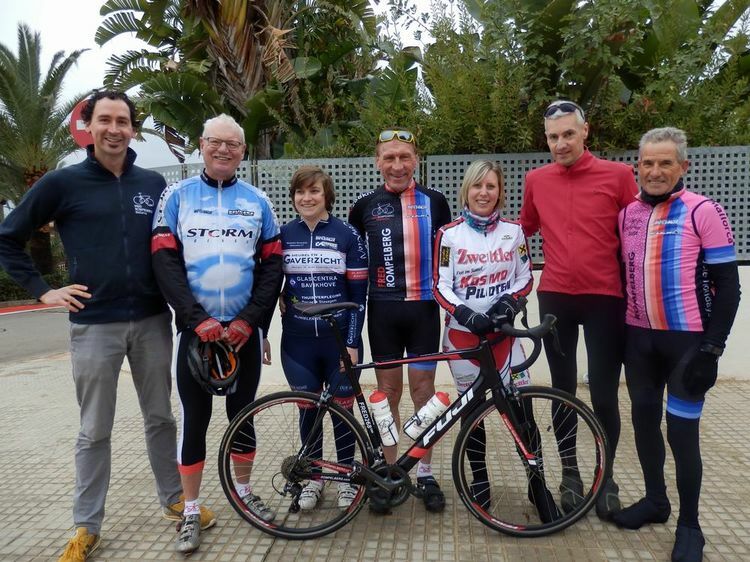 The group of our teamleader Felix Verhoeven, ready to go with our hobby cyclists to make a nice tour on Mallorca. Here in the picture the group with Felix Verhoeven and Fred 268 km. Here in the picture the group with Marc Michaux and Fred 268 km. 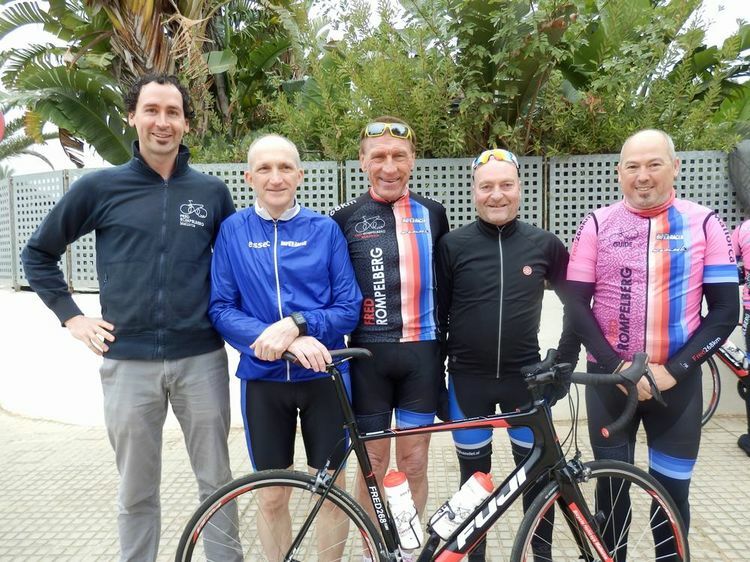 The group of our teamleader Gerhard Gilberer and Herman Janssen, ready to go with our hobby cyclists to make a nice tour on Mallorca. Here in the picture the group with Gerhard Gilberer, Herman Janssen, Jetse Scholma and Fred 268 km. Henk, Martijn and Robbert Rasenberg. Henk was group leader with us on Mallorca for many years. 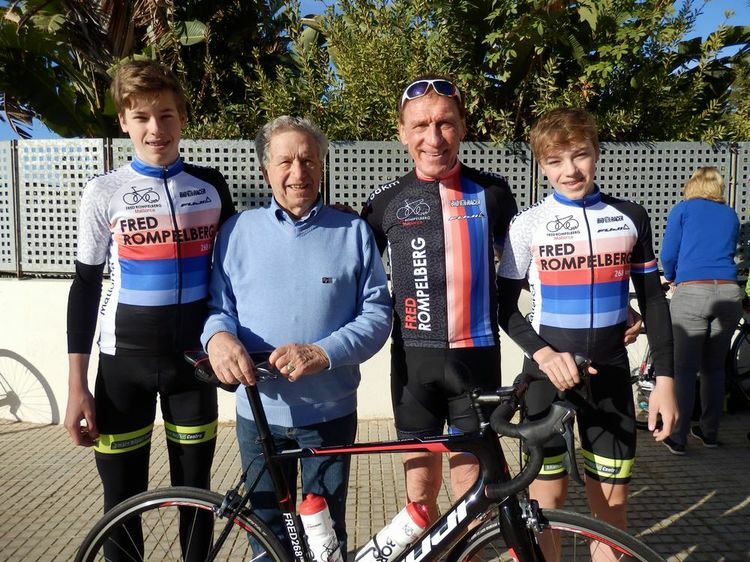 Now Grandpa Henk and his 2 grandchildren come to Mallorca to accompany them with the preparation of the 2 young cyclists for the new cycling season 2018. Martijn and Robbert good luck this year in the cycling races. Grandpa Henk we wish you a lot of fun with these 2 young cyclists. 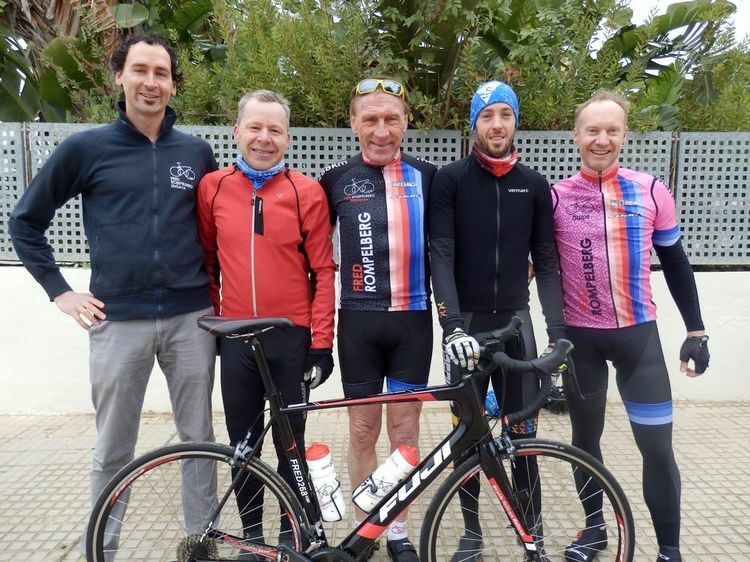 The group of our teamleader Herman Janssen, ready to go with our hobby cyclists to make a nice tour on Mallorca, in our first week on Mallorca from 2 till 8 Februar 2018. Here in the picture the group with Herman Janssen, Jetse Scholma and Fred 268 km. 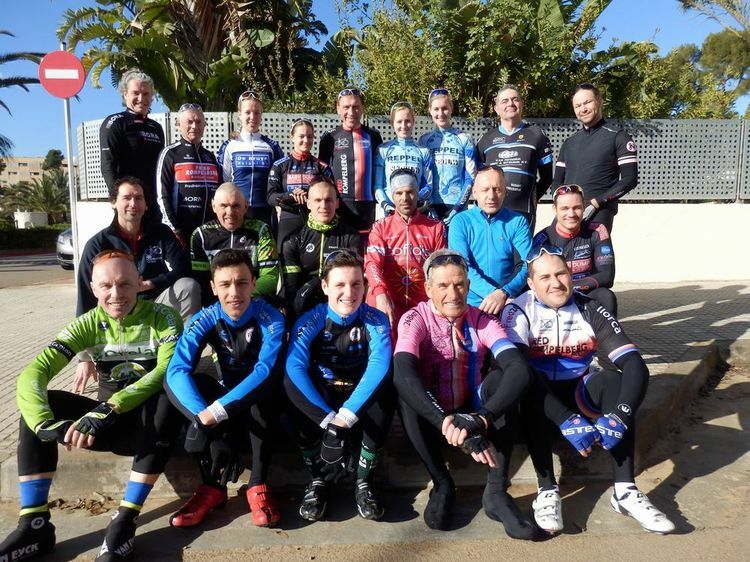 The group of our teamleader Jules Vandewyver, ready to go with our hobby cyclists to make a nice tour on Mallorca, in our first week on Mallorca from 2 till 8 Februar 2018. Here in the picture the group with Jules Vandewyver, Jetse Scholma and Fred 268 km. 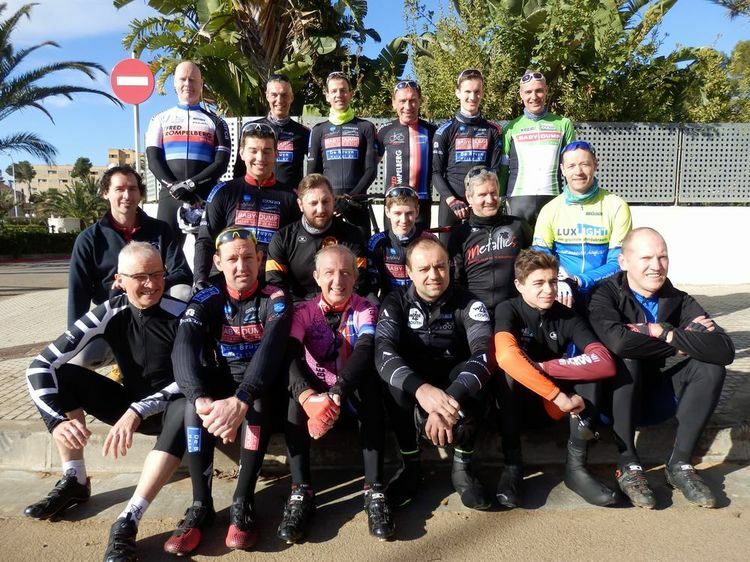 The group of our teamleader Felix Verhoeven, ready to go with our hobby cyclists to make a nice tour on Mallorca, in our first week on Mallorca from 2 till 8 Februar 2018. Here in the picture the group with Felix Verhoeven, Jetse Scholma and Fred 268 km. Our first weeks king: Jack Narold from Netherlands, 443 km in 5 days. Jetse Scholma, Jack Narold, Felix Verhoeven and Tiny Rompelberg. 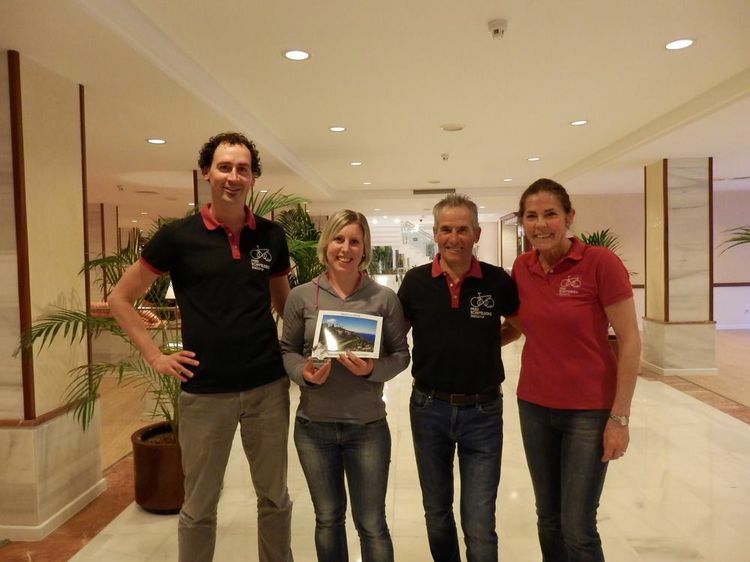 Our first weeks queen: Christina Kastner from Osterrich, 427 km in 5 days. Jetse Scholma, Christina Kastner, Felix Verhoeven and Tiny Rompelberg. Our first weeks Photo competition winner: Christina Kastner. Herman Janssen, Letizia Rompelberg, Roy Sparenburg and Tiny Rompelberg. 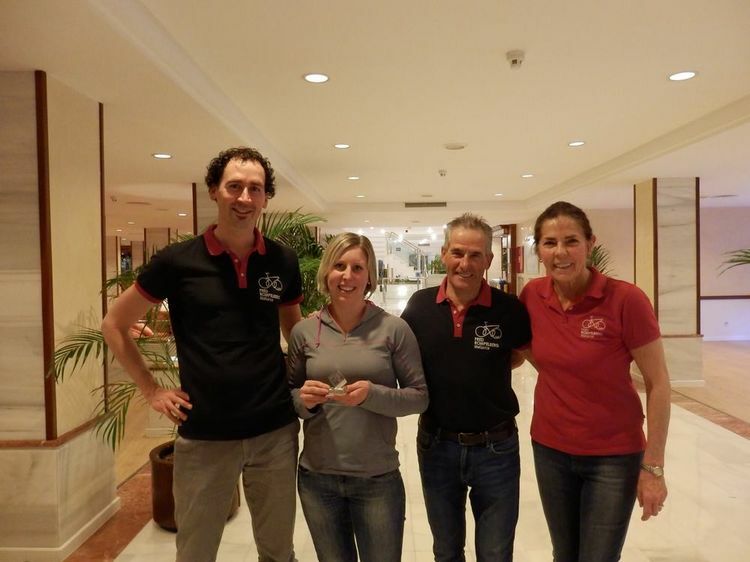 Our second weeks queen: Helene Rops from Ulvenhout 341.20 km in 5 days. 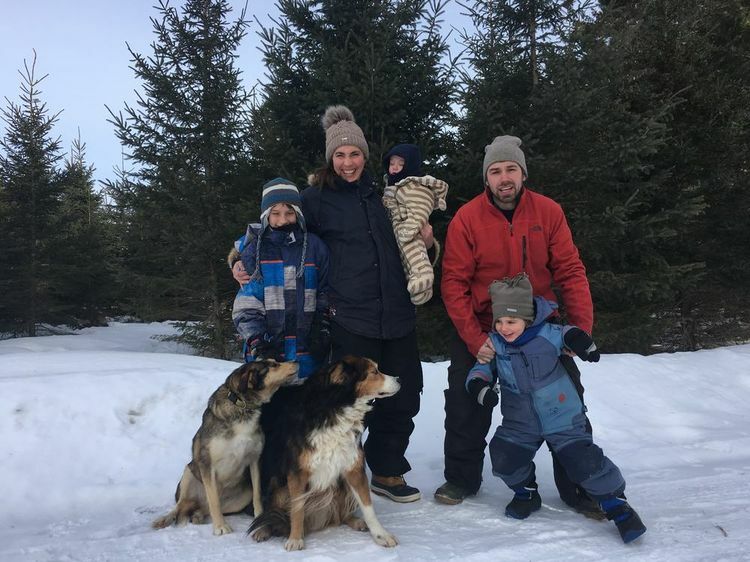 Letizia Rompelberg, Helene Rops, Jules Vandeweyer and Tiny Rompelberg. 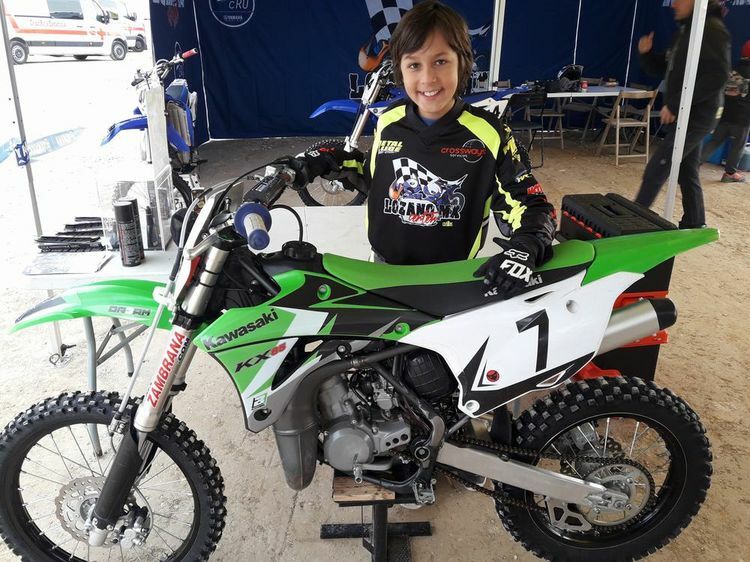 Our second weeks story of the week winner: Kaspar Stupelis. 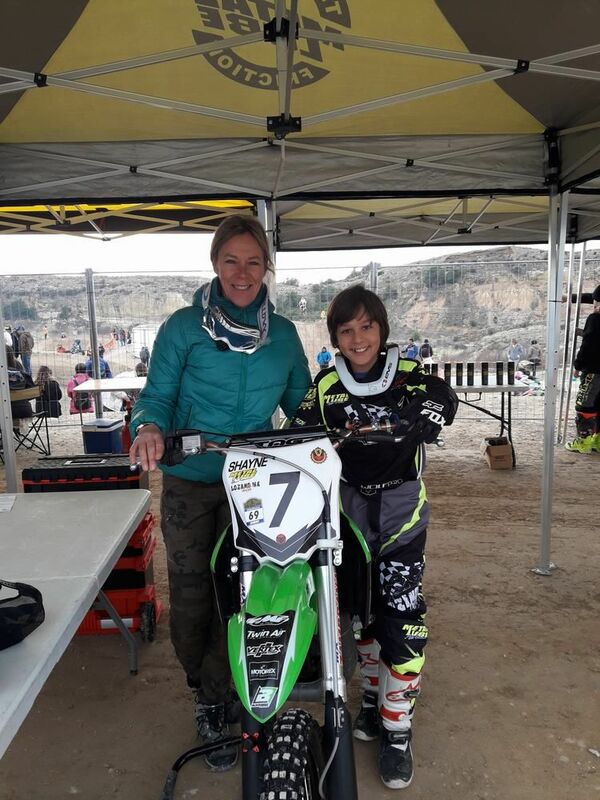 Kaspar Stupelis from Letland is 3x world champion sidecar. He trains on the bicycle to stay in good shape. Our second weeks Photo competition winner: Karel Burgmans from The Netherlands.